In somewhat of a tradition here at MI6, it is time once again to exclusively unveil the title of the next digital James Bond adventure. Rather than hitting consoles, the next Bond game will be a smartphone and tablet app from Glu Mobile. If you have never heard of the developer before, then you have not been playing the ludicrously lucrative 'Kim Kardashian: Hollywood' app (it raked in over $43m in the third quarter of last year, of which Kim took 45%). Glu will launch 'James Bond: World of Espionage' in the Apple App Store and Google Play Store in the coming months. Although it will be free to play, expect to see plenty of 'In App Purchases.' Glu have not disclosed what portion of In App Purchase revenue goes to MGM and EON Productions. "Bond offers a deep catalogue of thematic inspiration for gaming. We are honored by the opportunity to be the first to bring such a storied franchise to free-to-play mobile gaming," said Niccolo de Masi, Glu CEO. "We look forward to delivering a never before seen gameplay experience on mobile for the passionate worldwide community of Bond fans." In the past, publishers such as Electronic Arts and Activision have shelled out millions of dollars to secure the James Bond videogame franchise, only to see disappointing sales for most of their titles after 2004. Such has been lacklustre performance on traditional consoles of late, studios have been shuttered in the wake of failing 007 games. Activision pulled the plug on the licence in 2013. 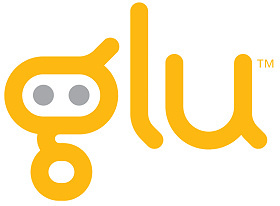 This time around, the commercial release by Glu of its James Bond mobile game will trigger the vesting of 1,000,000 shares subject to the warrant that Glu issued to MGM Interactive in July 2013. This warrant has an exercise price of $3.00 per share and is exercisable only for cash.